Skateboarding, Not Just For Young People - How Old are You? I was watching one of those tacky relationship repair shows that are kind of like watching a car crash - you know you shouldn't look but you just can't help yourself. In this particular episode one male partner had decided to take his temporary, switch partner skateboarding as a way of helping her try things more fun and out of her comfort zone. Predictably she wasn't happy, at first. "How old are you?" was one of her stand out comments. You hear this so often as a skateboarder, once you start getting into your thirties and beyond. Specifically from females who've 'grown up' and have to deal with serious things like family and careers. There's a definite perception that skateboarding is for kids. Possibly fueled by the fact that it's still a relatively young sport, having only been around for five or six decades. Which doesn't sound young but it's still young enough for perhaps one (or maybe two) older generation skateboarders to emerge as a 'thing'. Yes, that's right a 'thing'. Apparently, in 2015, mid-life, born again skaters became a thing according to travel, sports and lifestyle site, Mpora, in their article Middle-Aged Skateboarders Are a Thing - Get Used to It. These skaters are typically male, probably skated quite a bit through the 1980s and 90s but gave it up before anyone knew there was such a thing as 'Adulting' - back in their day people just grew up. Now their kids are grown, or at least are becoming more independent, and these people have more time for themselves. 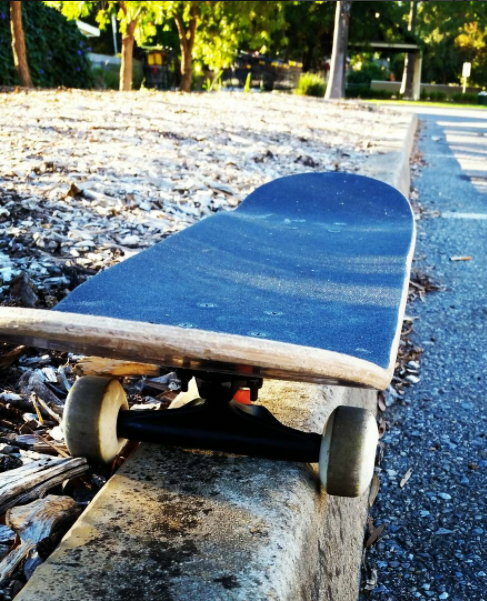 So why not get back into skateboarding? "How old are you again?" However this isn't the only kind of middle-aged skateboarder. A lot of us, who skated back in the 80s and 90s, never actually stopped skating. Sure we probably cut back on how much we skated as our responsibilities grew but we've never been too far away from a skateboard. For me, there was some point during the mid to late 1990's that the amount of skating I did got so infrequent that I lost a lot of confidence in my ability. During that time there were no free, local skateparks on every second reserve. I helped run my local skatepark, the only one for miles - which wasn't free entry. We had to close it to make way for a major highway that was planned for the area. After that, finding places to skate was limited to schools, car parks, and whatever public structures had potential to skate. I always had a board and, as fate would have it, I still have the really cheap budget board I was riding during that time - that I put Powell, logo wheels on (still have those too). The point is, skateboarding, like many skateboard riders, has grown up. It's no longer a sport for kids only and free, council owned skateparks are everywhere. There are so many pro-riders from back in my day who are still skating and now running skateboard companies as well. Being responsible and skateboarding... who knew that was possible? I'm not sure why so many 'adult' women look down on older guys who skate, sometimes referring to us as a 'man-child'. How good is it to have a Dad that can skateboard with their kids instead of just sitting on the sidelines watching (looking at you scooter Mom). For the record the couple on the relationship show had to be in their mid to late thirties - and she is the joint owner of a personal training business - so sporting activity wasn't exactly a foreign concept to her. By the end of their skateboarding session, whilst she probably wouldn't take up skateboarding, she did admit to having fun and was starting to get into the actual learning process for skateboarding. The perception that skateboarding is only for kids needs to be put to bed. If you're into an active lifestyle, you're never too old to start skateboarding. Know that you're not alone. 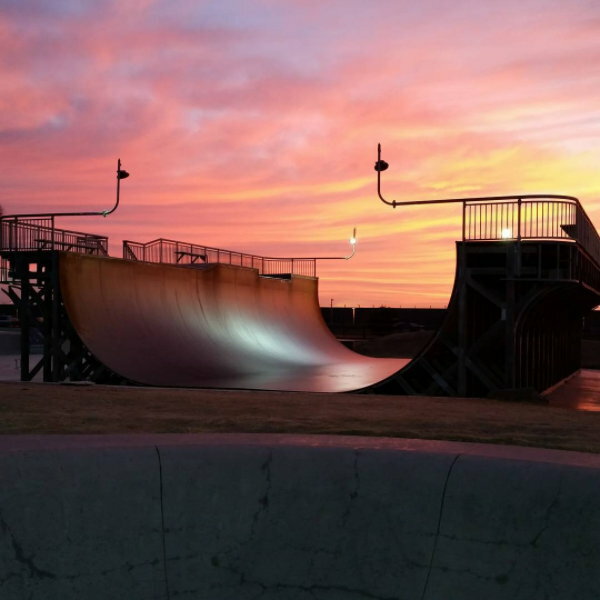 Head down to your local skatepark really early in the morning on a school day, or even during school hours, and chances are you may find skaters more in your age bracket to skate with. You may even get the whole park to yourself.